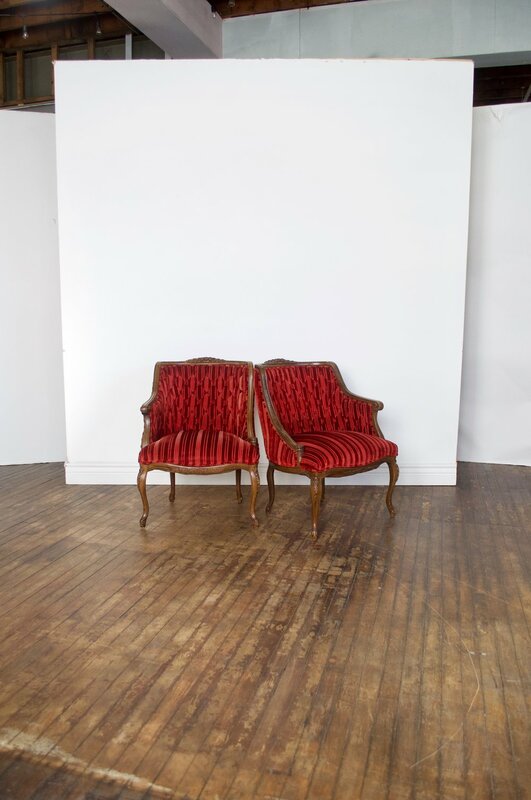 The Cynthia Chairs are red velvet, striped chairs. Each chair is oriented a different way by one arm gracefully sloping lower than the other. They pair with our jewel toned sofas or gilded sofas.